Marcin started out his career outside the hospitality industry, and it was after moving from Rzeszow in Poland to London, and being introduced to British cuisine in various hotels and restaurants, that he had started cooking and he hasn’t looked back. 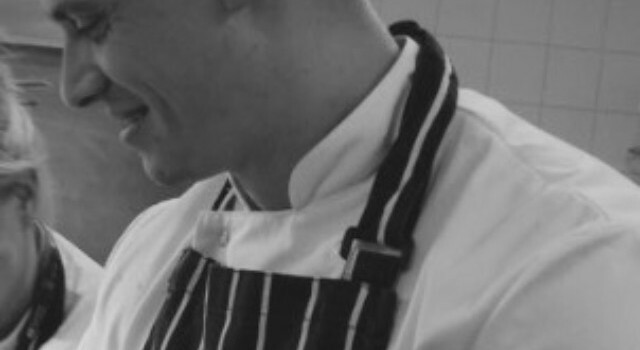 After moving to Scotland and working in a number of restaurants he started working at The Scottish Cafe and Restaurant, where he worked for for nearly 6 years and under the guide of Executive Chef Suzanne O’Connor and owner Carina Contini, he made his way from CDP to senior head chef. What made him love and learn his job was the philosophy of the sourcing , seasonality and sustainability which is reflected on their monthly changing menus . When Cannonball Restaurant opened 2 years ago he was called upon for his skill and knowledge of Scottish produce and headed up the kitchen with the new team, sharing the passion for great local produce that has made Cannonball Restaurant such a huge success.